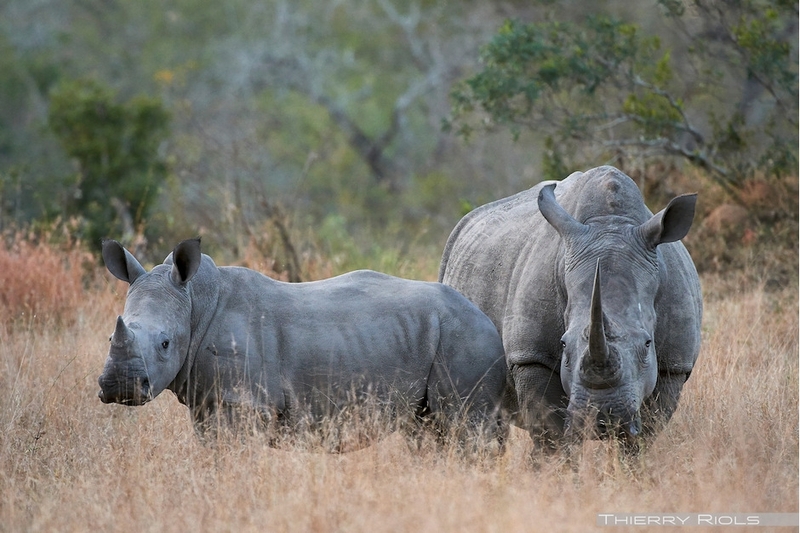 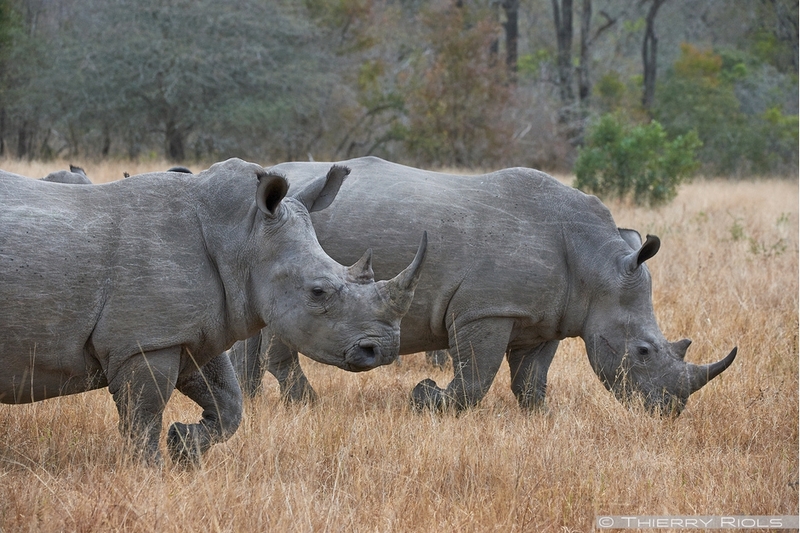 Black Rhinoceros - Diceros bicornes - and white rhinoceros - Ceratotherium simum- of Africa. 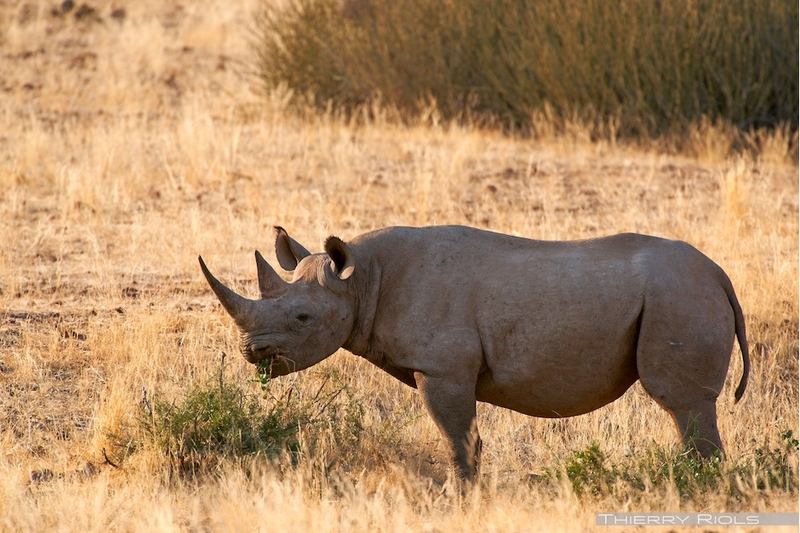 The white rhino, more massive than black, grazing grass when black eats leaves and branches. 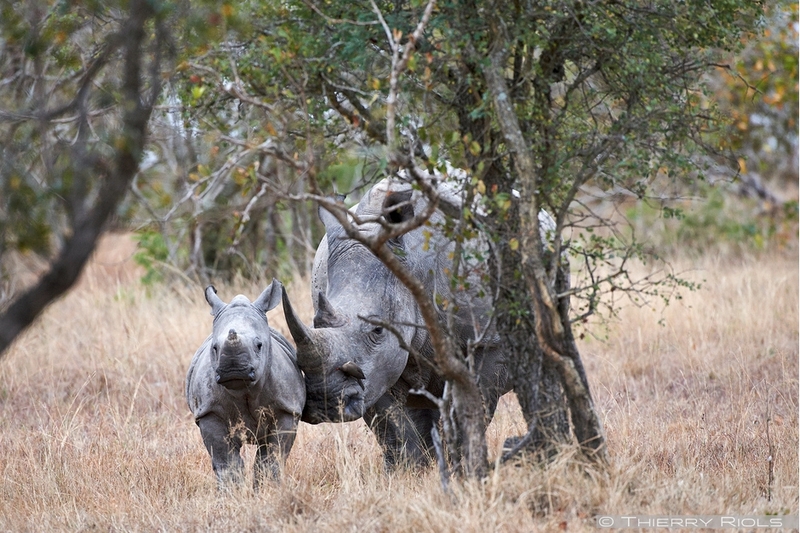 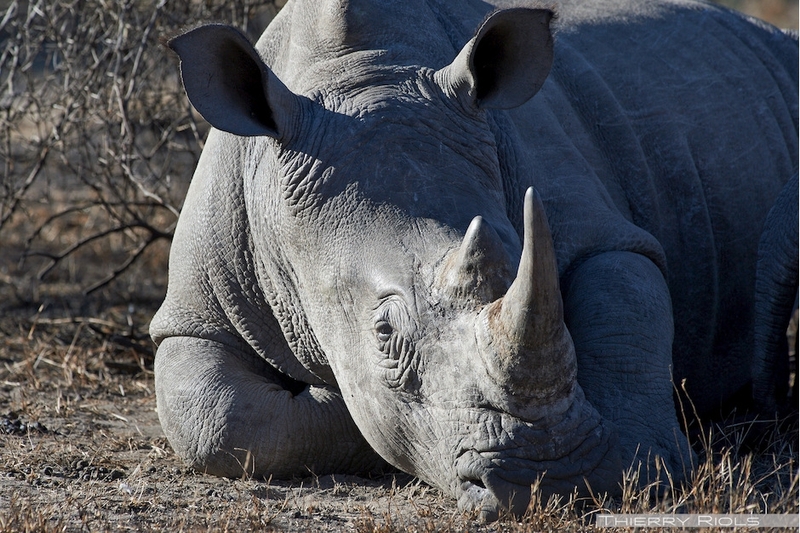 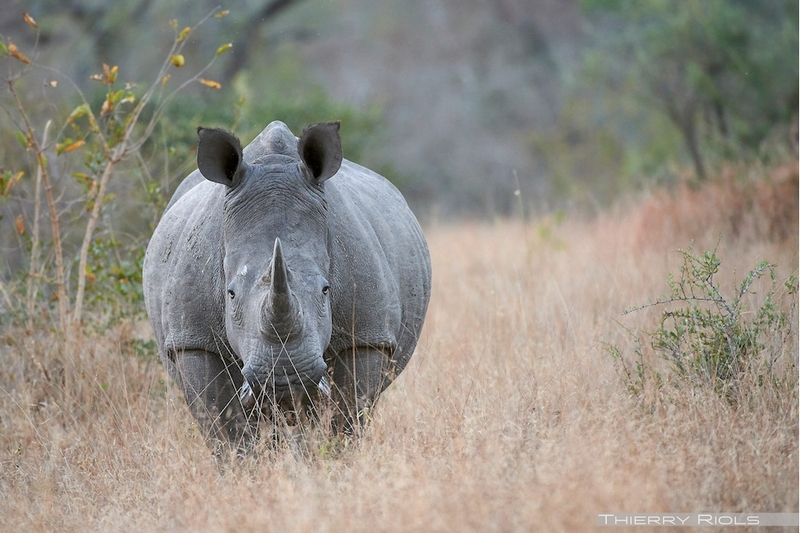 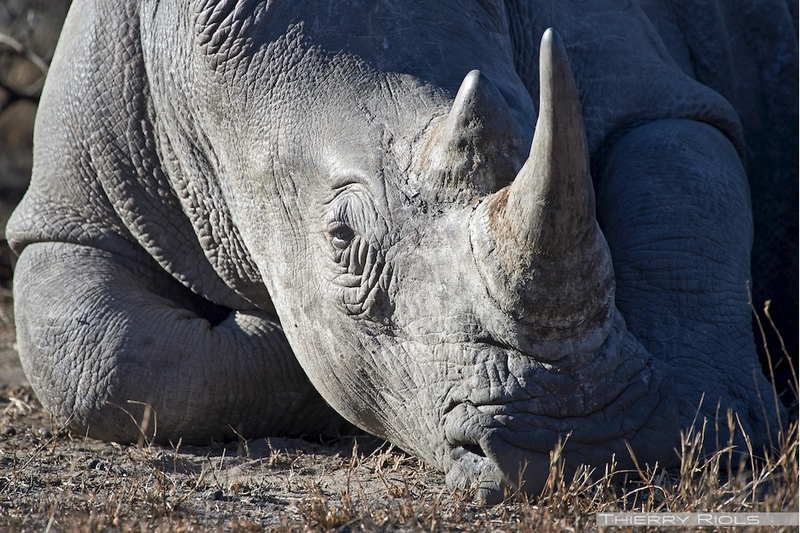 Hunted and poached rhinos are subject to significant protections in the national parks of Southern and east Africa. 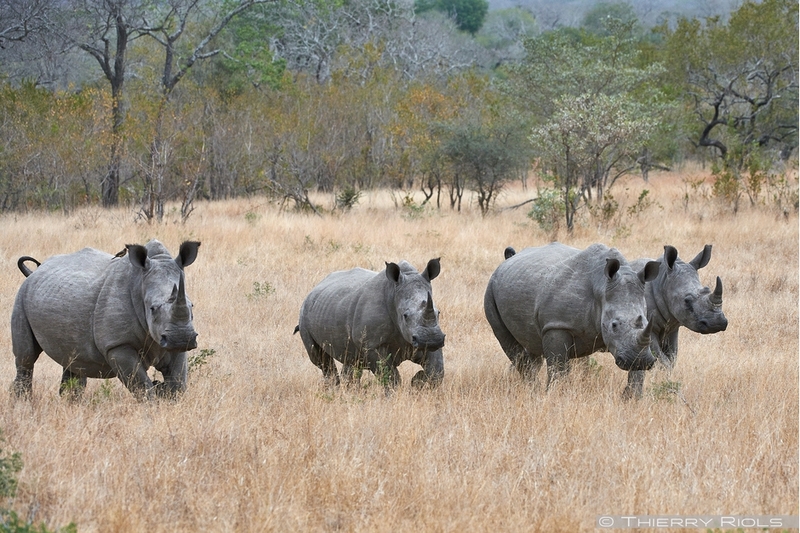 The white rhino has been near extinction but now returned to a population of over ten thousand rhinos. 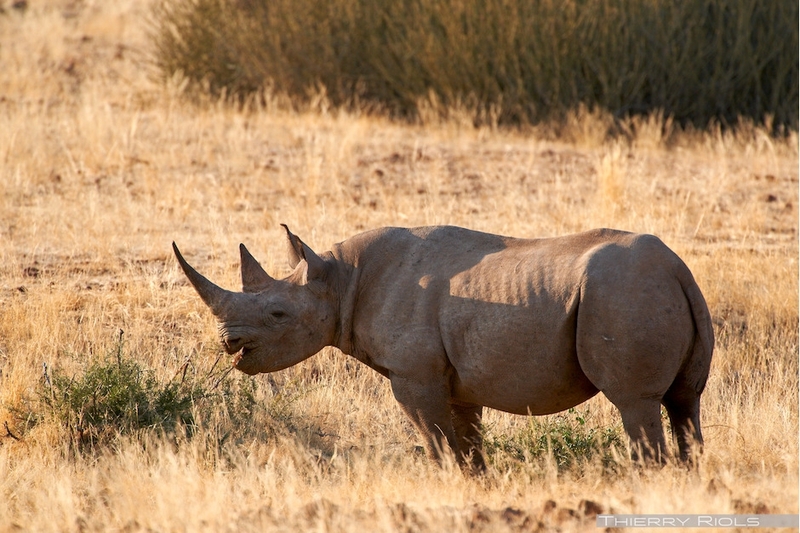 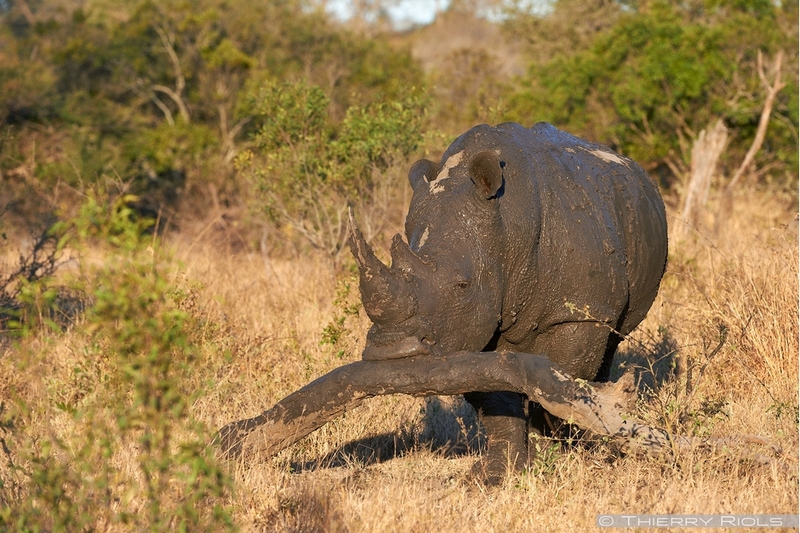 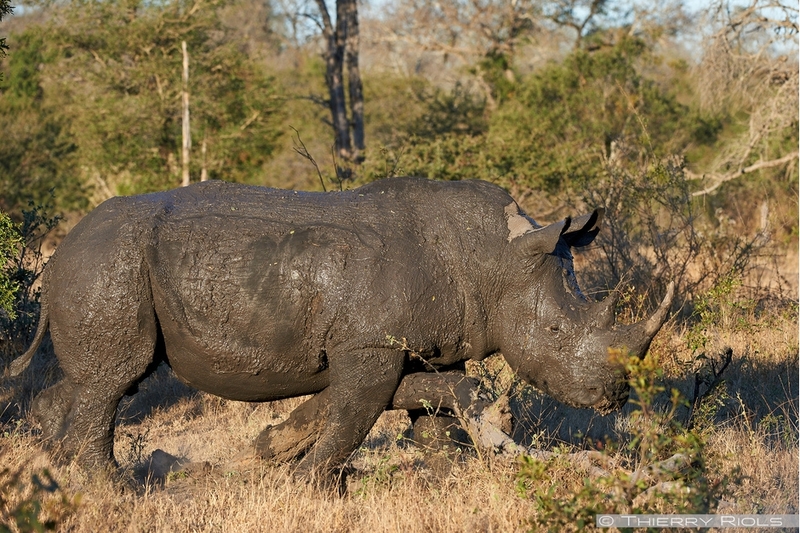 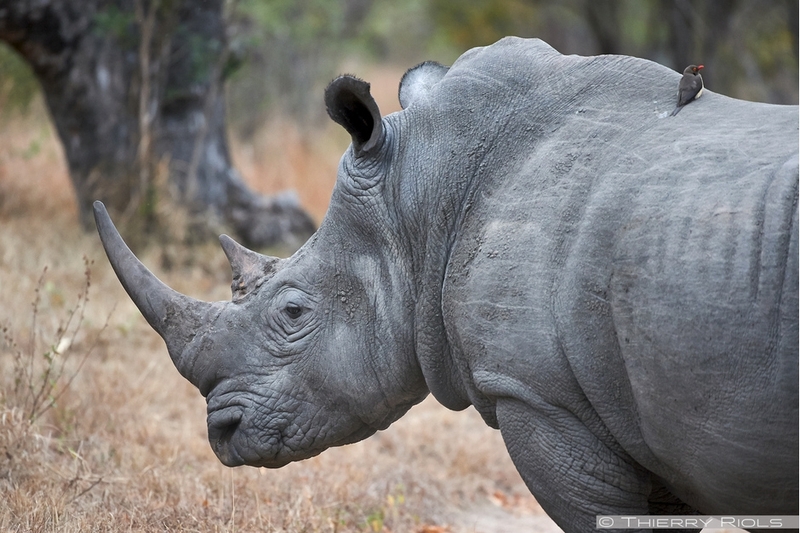 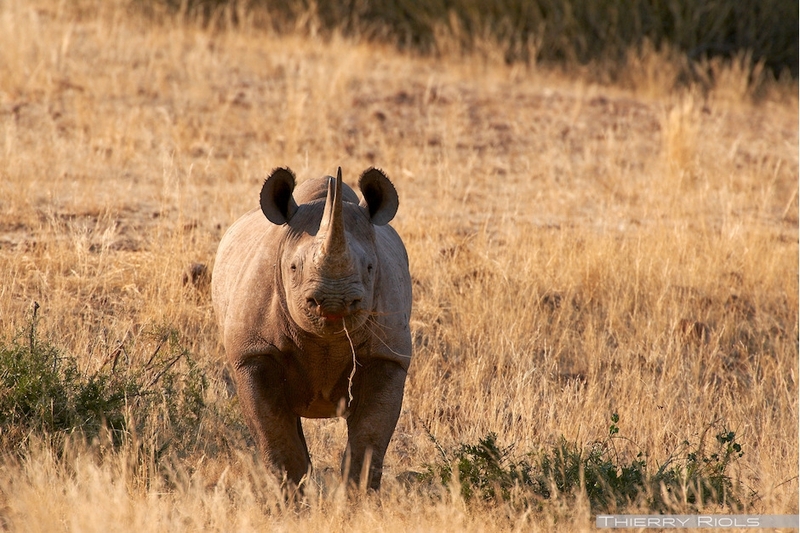 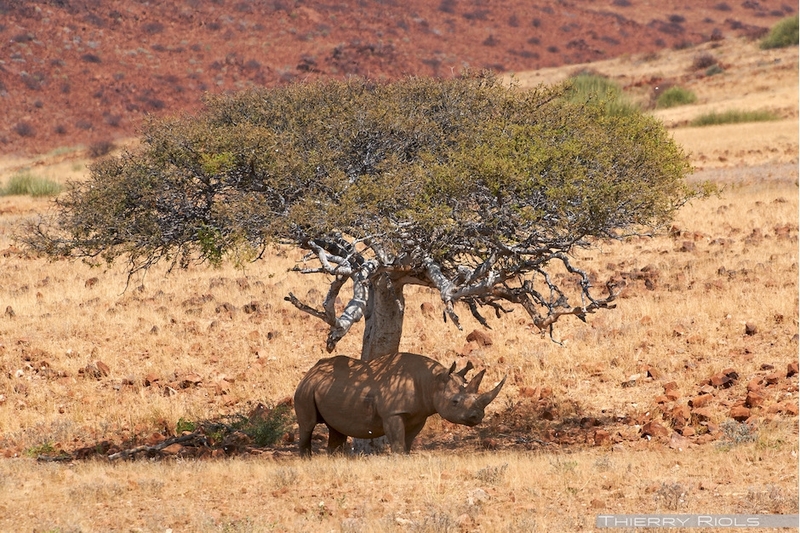 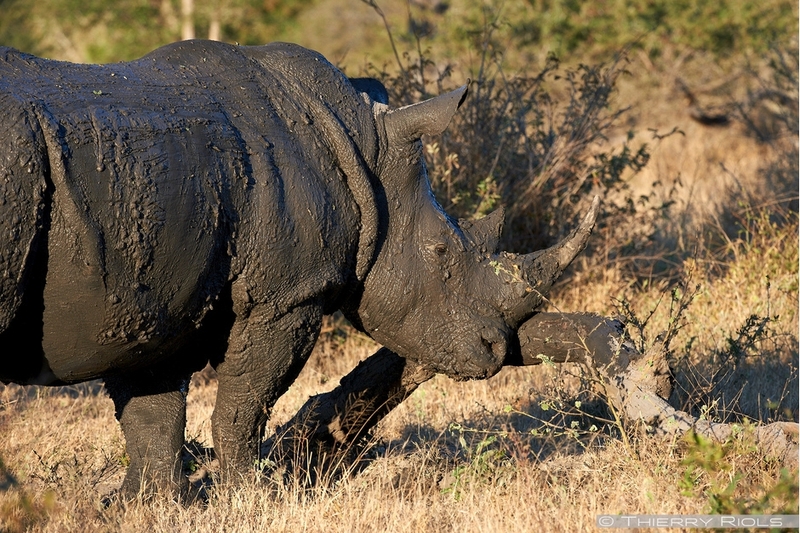 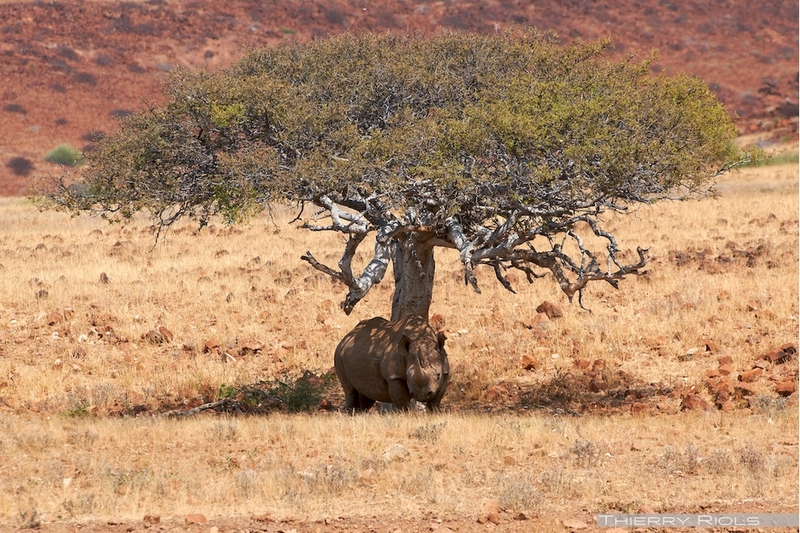 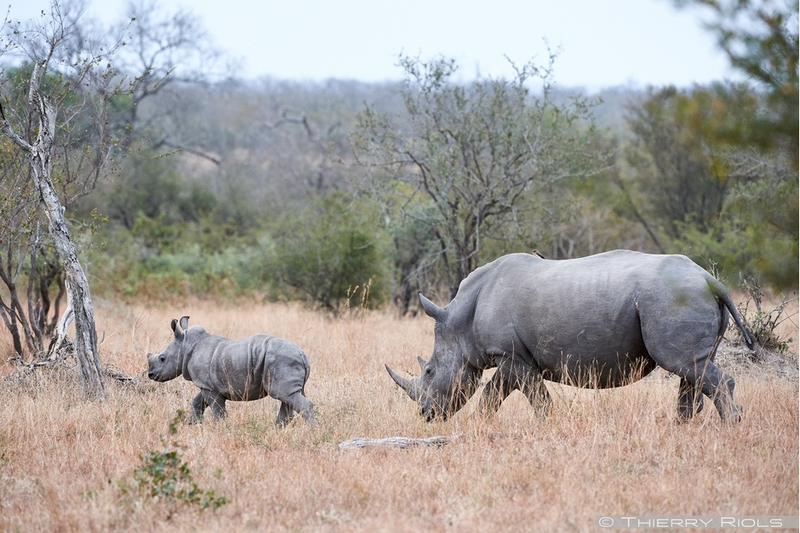 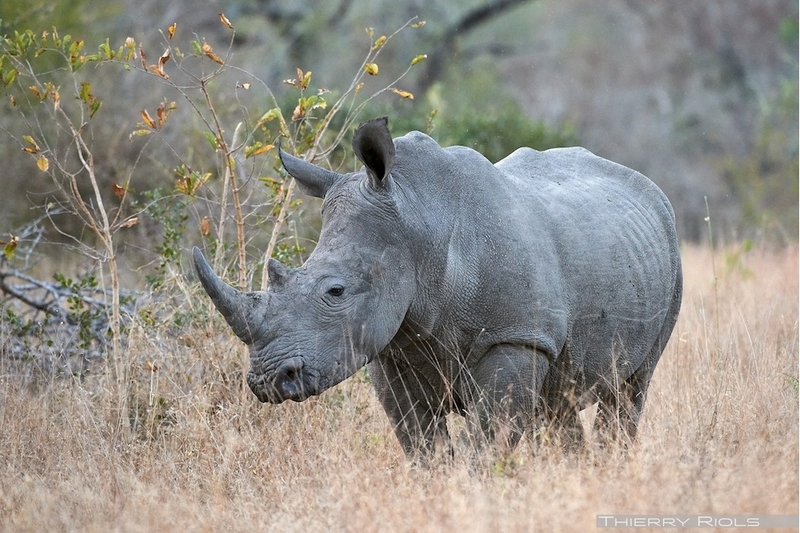 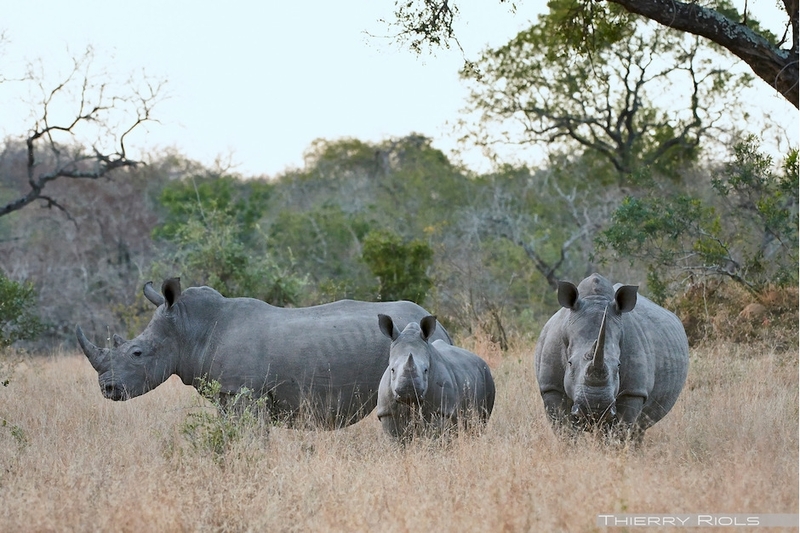 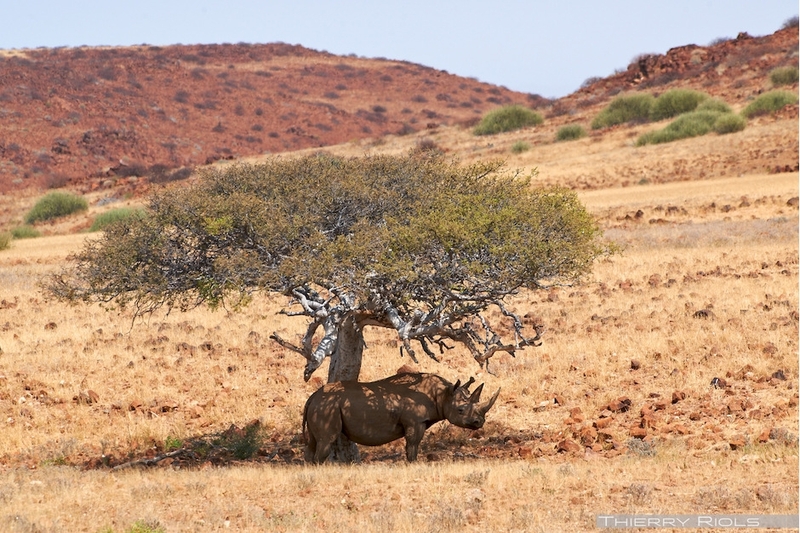 There remain about 3, 600 black rhinos considered a critically endangered species ..